I can't believe that Alaina is almost 10!! Out of all my kids she has enjoyed playing with toys more, reading picture books longer, listening to little kid songs the longest. Sometimes she drives us crazy with wanting to listen to the same kid songs over and over. Lately she has been listening to songs from Happy Kids Songs. Happy Kids Songs has 8 volumes containing 5 songs each. We received three volumes: Friends & Sharing (Volume 1), Happiness & Attitude ( Volume 5), and Manners & Character (Volume 6). All the songs are recommended for children ages 3-8, but younger kids and some older kids will still enjoy them. Each song can be purchased for $.99 or each volume is $4.95 a piece. 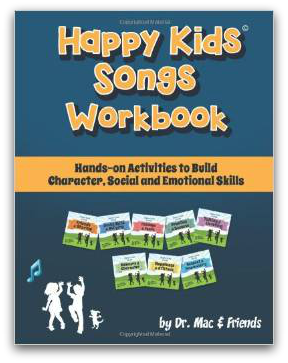 We also received the Happy Songs Workbook: Hands-on Activities to Build Character, Social and Emotional Skills to go with them. Friends & Sharing is Volume 1 contains 5 songs. Happiness & Attitude is Volume 5. Manner & Character is Volume 6. All the songs contain uplifting encouraging lyrics set to upbeat popular music styles. 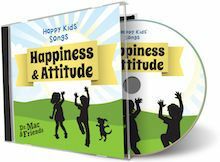 The lyrics teach character and values to help children feel good about themselves and get along with others. There are songs that deal with being helpful, using the golden rule, honesty, manners, responsibility, and more. The music uses several different styles and instruments in upbeat tunes. 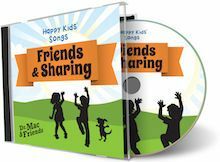 The Happy Kids Songs Workbook: Hands-on Activities to Build Character, Social and Emotional Skills is 125 page softcover book available for $12.56. 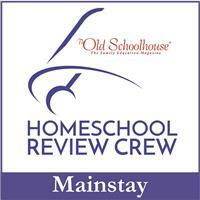 This workbook is recommended for children ages 3-8. The workbook contains the lyrics to all the songs included in the 8 volumes from Happy Kids Songs. There are also coloring & activity pages for the child and learning activities to do together. The book is divided into 2 sections. The first section is 80 pages and contains the lyric page and an activity page to reinforce the concept that is in the song. The second section is 86 pages and contains the adult directed activities. The pages included with they lyric page is reproducible and contains coloring pages, matching activities, easy crossword puzzles, dot-to-dots, easy drawing pages, and simple answer questions. 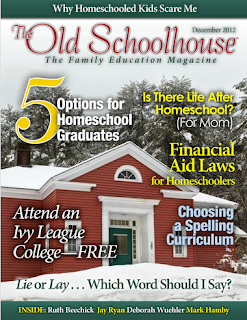 The parental section contains activities for each song. There are discussion ideas on the topics covered in the songs, activities to make question and answer cards, art, crafts, and games. Even though Alaina is on the older side of the recommended age range she still enjoyed listening to all the songs. She listened to the songs and sang along with the lyric pages included in the workbook. I also had her listen closely to see what instruments she could hear in each one. The activities pages in the workbook are mostly for younger children, but Alaina still liked to color the coloring pages. The crafts are Alaina's favorite part from the adult directed activities. Making puppets for the Everybody Wants to Find a Friend song was the one she wanted to do first. 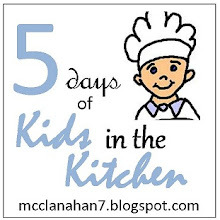 Happy Kids Songs would make a fun addition to any home with young children. The workbook is very easy to follow along and the adult directed activities are very easy to follow along and implement with very little preparation.